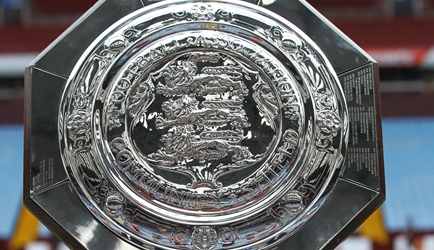 The FA Community Shield or the Charity Shield as it is often referred to, is the match between the winners of the previous season’s Premier League and FA Cup. This year the game is between Arsenal (FA Cup Winners) and Chelsea (Premier League Champions) and will take place on the Sunday 6th August 2017 at Wembley Stadium. This fixture is always in high demand but never to a point of being crazy, with this you will normally find tickets for slightly more than the face-value. This season is different than most as tickets are in higher demand than usual. This will also be the case up until kick-off. Tickets have now been released but have sold-out on official channels. For this years game I recommend you get your tickets from this website here, they have a great history of delivering tickets, especially last minute ones. Each year the 2 different clubs receive around 30,000 tickets and therefore if the teams have a big following then these tickets are always sold to the season-ticket holders of the respective clubs. Unless you are a Season ticket holder then you have a very limited chance of getting tickets, almost impossible at getting them for the original price. Club Wembley is the level 2 in the stadium which is the section allocated to the neutral fans of events. The owners of the Club Wembley seats have purchased these tickets for every event taking place at Wembley, from concerts to other sporting events they have access to the same seats. Ticket information will be released at the end of July/ early August and will be updated here. I am a man utd supporter from South Africa and want to attend this game. how would I be able to purchase a ticket through the official wembley website? as I don’t want to be paying ridiculous black market prices. As I’m travelling from SA to the UK and want to see this game. Hi, I am coming from Australia and wil be in London on the night of the 6th, 7th and 8th. I would love to watch game at Wembley. What is the best way (safe website) to get a ticket? i can’t buy the community shield ticket online as they are only selling to members. Hi, tickets are still high relative to initial selling price. Do you think these will come down?